There’s a lot to be said for the single life, but home cooking isn’t usually at the top of the list. When you’re cooking for one, it can be hard to estimate the right amount of groceries to buy and coming up with new, creative meal ideas can be even harder when you don’t have a roommate or a partner to pester for ideas. The thing is though, just because you’re living single doesn’t mean you need to subsist off fast food, pizza, and chinese take-out. With a meal kit delivery service you can get new, creative, and exotic recipes every week—and you never have to wait for inspiration to strike. And since all of the ingredients are pre-portioned, you never have too little or too much, or have to try to figure out what exactly to buy at the store. Now, you’re probably thinking, most of these meal kit companies only offer recipes for 2 people or more. This is true, but for a single person this is a great way to plan out your meals for the week—giving you recipes that’ll cook up a great dinner and a solid, home-cooked meal for work the next day. And besides, who says you won’t have company? 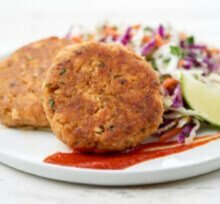 So what are the best meal delivery companies for singles? Let’s take a look at the top options. 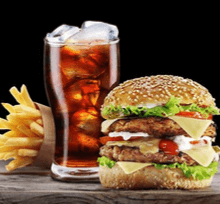 Why Home Chef is great for singles: The sheer variety of options means even someone with highly specific preferences can find something. With meals that are designed to take around 30 minutes tops, Home Chef makes it easier than ever to make delicious meals at home. The company features 18 meal options per week, with dishes including vegetarian, low-carb, and low-calorie options. Home Chef also offers smoothies and fruit baskets, so you can pair that meal with something sweet. If you’re looking for top-flight ingredients and variety in your meal options, then Home Chef may be the right box for you. 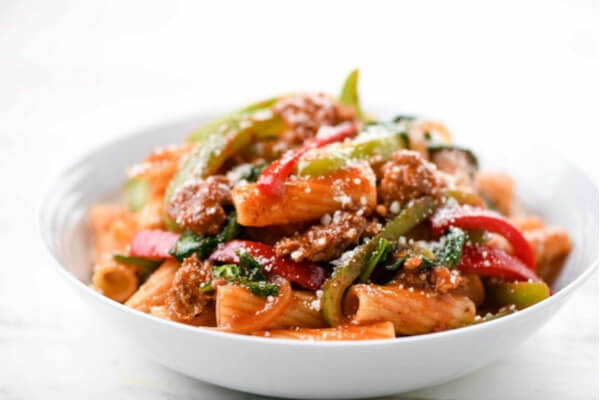 With fresh bell pepper, spinach, garlic, and grated parmesan, this is a great meal for one—even before you put in the italian pork sausage links. With a mildly spicy kick and fresh ingredients that really pop, this is a meal that’s easy to make and should be even easier to take to work the next day for lunch too. Why Sun Basket is great for singles: Quick and Easy meals keep things simple when you’re cooking for one. Sometimes it seems like every other item in the grocery store—from apples to chicken to detergent—is listed as organic, written in big letters you can’t miss. With Sun Basket though, this is more than just a label, it’s at the very core of the company. Sun Basket is almost entirely 100% certified organic and every recipe is crafted by award-winning chef, Justine Kelly. The recipes are a cinch to whip up in the kitchen, and even a cooking novice should be able to sit down and dig in within 30-45 minutes tops. Among its other specialty meal plans, Sun Basket offers a “Quick and Easy” meal plan. With “Quick and Easy,” you can get dinner on the table in 20 minutes. The plan includes recipes that require minimum prep and effort, one-pan dishes, and food that can be prepared on the grill for even less cleanup. Thinly-sliced top sirloin pan-fried with broccoli is about as surefire as you can get. 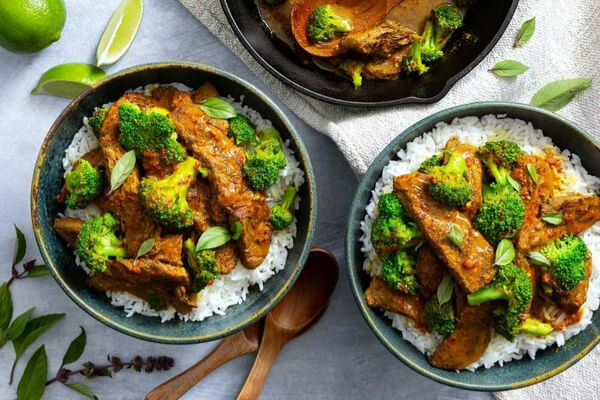 This recipe goes the extra mile by adding a coconut curry base, organic lime, and some fluffy basmati rice cooked up just right. This is also the type of meal that travels well, so the 2 servings you ordered should last till the next night, unless you want to give your co-workers lunch envy at the office. Why Hello Fresh is great for singles: Only 6 steps and 30 minutes - perfect for busy singles. One of the main obstacles to cooking at home is the hassle, and if you’re cooking for one—it’s easy to just reach for the pizza delivery magnet on the fridge instead. HelloFresh knows that the struggle is real, and offers 6-step recipes that take only 30 minutes to prepare. When it’s this easy, you’ll be sitting down—and digging in—in no time. And what’s on the menu? With HelloFresh you get to pick from 12 meals per week on the classic plan and 3 on the veggie plan. You can also choose one breakfast option and one premium meal per week if you’d like. 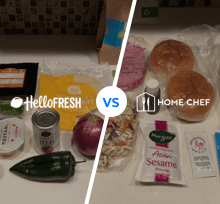 HelloFresh took the humble Mac ‘n Cheese and gave it an upgrade. And while this Mac’n Cheese does come in a box, that’s where the similarities stop. 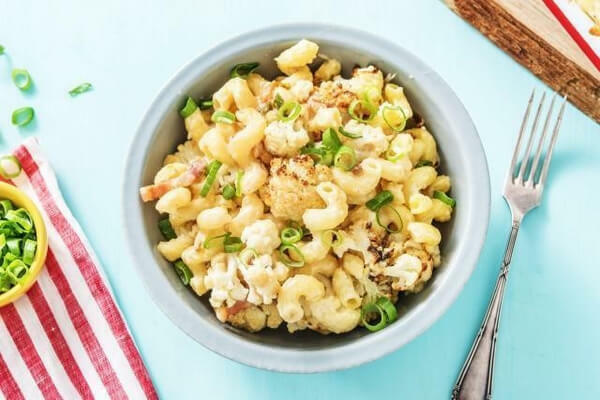 HelloFresh gives you premium pancetta, fine italian cheeses, scallions, and cauliflower to take you somewhere that the kid in you never saw Mac ‘n Cheese taking you. Why Plated is great for singles: Because you can enjoy dessert with your Plated meal kit. You might be cooking for one, but you can still make meals worth writing home about. Plated has become one of the top meal delivery companies by combining premium ingredients with phenomenal recipes that will make you feel like you’re eating out even in your own apartment. You get 20 different recipes to choose from each week, with a wide variety of tastes and styles that should be able to please even the most distinguished single diner. And no matter what you order, the portions are precise so you don't have to worry about over or under-ordering. Plated also goes out of its way to frequently ship its customers organic, seasonal, and fresh produce and every week you can pick from 2 different desserts to satisfy your sweet tooth. We want to tell you about this Japanese-inspired Plated recipe, but you might want to sit down first. And since you’re cooking for one, the next morning you can take some of the leftover steak and fry it up with eggs and the fries for the type of breakfast that might have you calling in for one of those “sick days” you spend at the beach. Why Martha & Marley Spoon is great for singles: With access to an entire library of recipes, any single can get some immediate backup in the kitchen. Sometimes when you get that little bit of inspiration in the kitchen, you can almost feel like you have a real pro leaning over your shoulder giving you tips. With Martha & Marley Spoon, you can have that sensation all the time with the help of celebrity lifestyle icon, Martha Stewart. You get 10 meals to choose from every week, with options including customer favorites, one pot meals, and meals ready in under 30 minutes. Martha & Marley Spoon can also accommodate specialty diets such as gluten-free, dairy-free, vegetarian, low-calorie, and low-carb. You also have the freedom to book your recipes a month ahead of time and can customize the ingredients in the recipes. And if the mood strikes, you can even narrate your cooking in Martha’s calming monotone voice, but that’s up to you. If you don't know about harissa by now, then you should make up for lost time with this North African hot chili paste that can put a little bit of Morocco in any dish. This one comes with chicken thighs rubbed with harissa and potatoes covered in a sumptuous lemon-garlic sauce. When you’re cooking at home for one, keeping it simple can really make a difference. 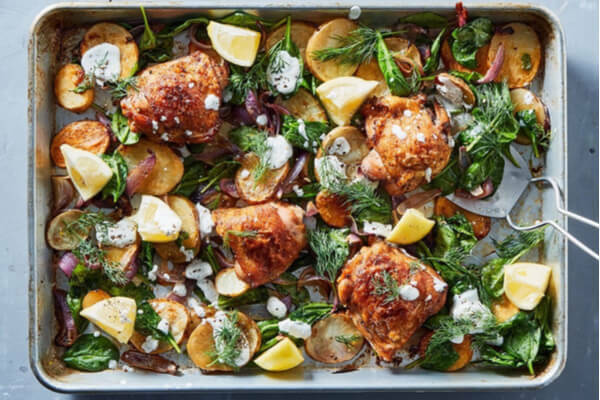 And with one pan meals like this, not only is it simple, but you also get all the ingredients in one spot, cooking together in their own little house party that enhances all the flavors. Having your own place is a joy all its own. It’s your own little corner set up just the way you like it—but if you really want to make that house feel like a home—the key is in the kitchen. Cooking for one can be tough, but as we’ve shown you, a meal kit delivery service can make things easier than ever. You always order exactly what you need so there’s no waste or having to run out to the store because you forgot one little thing. And while each meal kit delivery company’s recipes are for a minimum of 2 servings, this just means leftovers—which can be like a great sequel if the meal is good enough. It’s all really a matter of taste, so take a look at these meal kit companies and find the one with the recipes and the ingredients that really speak to you.